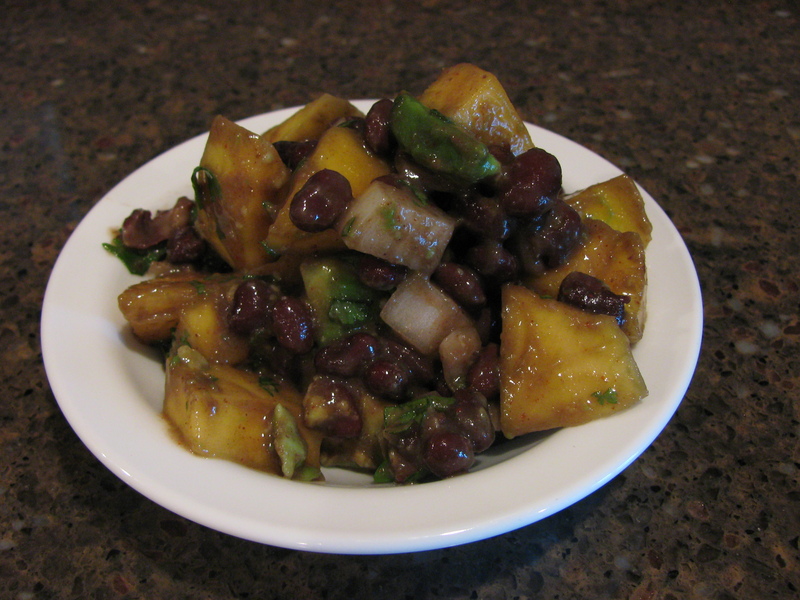 We made two batches of Black Bean and Mango Salad last week. We finished the first one really quickly, so quickly that I did not feel satisfied that I had eaten enough of it. Within a day or so, I was back at it making more. 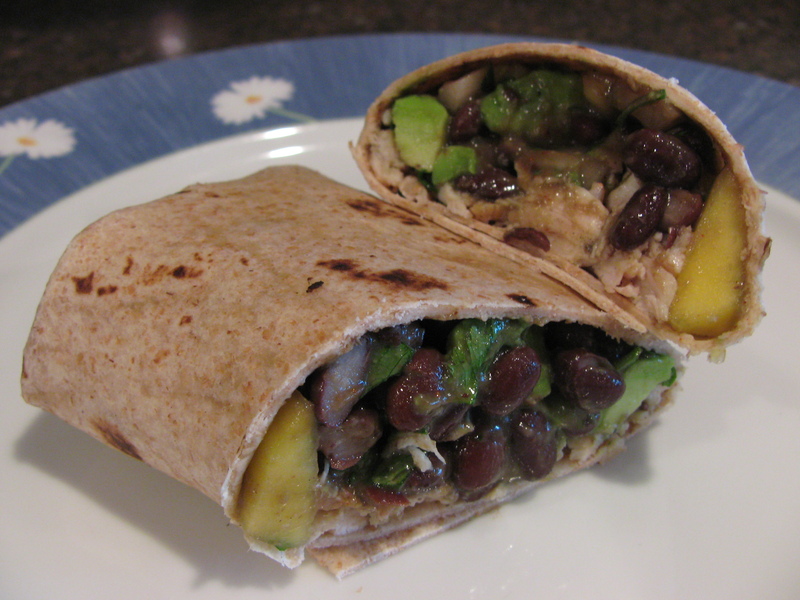 The first batch of Black Bean and Mango Salad was eaten as a side with chicken, then again for lunch as a burrito filling. I prefered it as a side, Chris seemed to like it better in a burrito. Figures. We know that he loves burritos in any form and favors foods that do not require him to use plates or silverware. We ate the second batch of Black Bean and Mango Salad in its first two incarnations and also used it as a salsa with guacamole. The possibilities are endless. I have a feeling that we will be making this stuff often! Dice mango, avocado, and onion. Combine with drained black beans. Season with salt and chili powder. Mix in lime juice and cilantro. We are some right away, but it was much better after it was left to marinate for a few hours.